If you’ve recently checked your credit report for the first time (or even the first time in a while), you may have noticed an ‘Inquiries’ section towards the bottom of the report. In most cases, this section has minimal impact on your credit. But the way you manage your credit, particularly the way you apply for it, can end up making a big difference if not facilitated correctly. Learning about inquiries can also help you spot any potential credit fraud. Read on to find out everything you need to know about what credit inquiries are, how they affect you, and how to get rid of them. 1 What’s the difference between hard inquiries and soft inquiries? 2 How do inquiries affect my credit score? 3 How long do inquiries stay on my credit report? 6 What should I include with my letter? 7 Do you have other negative information affecting your credit? What’s the difference between hard inquiries and soft inquiries? When a credit card company or mortgage provider goes through hundreds of thousands of credit reports by making inquiries for their marketing departments, they are called “soft inquiries”. 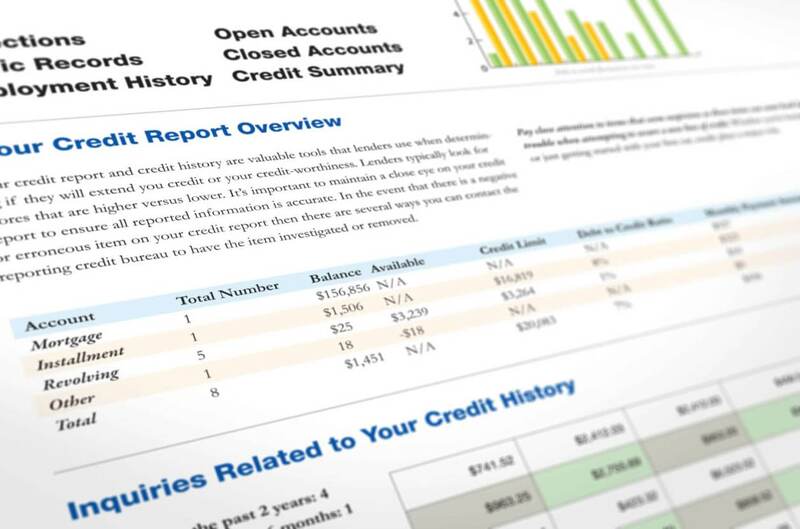 Those inquiries don’t affect your score, even though they show up on the credit history. Pre-approvals and pre-qualifications initiated on your own usually also only constitute a soft inquiry. To be sure, however, check with the creditor before agreeing to one. They affect your credit score at different times and in different ways. When you go out looking for a new car, you might sign two or three applications for credit from various banks, auto finance companies, or credit unions. They all make inquiries into your credit and by signing the application, you authorize them to do so. Credit scorers understand this is simply a consumer out shopping for the best rate they can get. They allow for this activity and don’t deduct points for each individual inquiry when this occurs, as long as the inquiries are all made within a 45-day window, they group them together and count them as one inquiry. But if you take too long and shop around, the resulting inquiries can affect your score negatively. While having too many inquiries can hurt your score, they are the smallest scoring factor. In fact, each inquiry typically deducts about five points from your score. We find that most people spend too much time worrying about inquiries when they have worse negative items on their credit report that have a much bigger impact on their credit score. But if you apply for credit cards every single month, either out of necessity or as a rewards bonus hack, you can really start to cause some damage. All inquiries are listed on your credit report for two years. After that, they should fall off naturally. On the plus side, an inquiry only affects your credit score for one year. Once that period is up, your score should rebound a few points. Again, if you just have a few inquiries listed on your credit report, it’s no big deal. But if you have a long list of them, you might want to try getting one or more of them removed. This is especially true if you don’t remember authorizing the inquiry. To dispute an inquiry, you must contact each of credit bureaus that lists it. Even if a hard credit inquiry is “questionable” and you are not sure if you made it or not, you can dispute it as the burden of proof is on the credit bureaus and your creditors. Under the Fair Credit Reporting Act, they must prove that you made the inquiry. If they can’t prove it, the inquiry must be removed from your credit report. We have prepared this sample letter to send to the credit bureaus requesting an investigation of an unauthorized inquiry appearing on your credit report. Be sure to send via certified mail rather than standard mail delivery to get a faster response and ensure your letter is received. I checked my personal credit report, which I acquired from your organization on [insert date of report] and I noticed an unauthorized credit inquiry had been made. I contacted [inquiry source’s name], who conducted the inquiry and asked them to remove their credit inquiry from my credit profile. I request that you initiate an investigation into [inquiry source’s name] inquiry on my credit report to determine who authorized the inquiry. If, once your investigation is complete, you find my allegation to be true, please remove the inquiry and send me an updated copy of my credit report at the address listed above. If you find the inquiry referenced above to be valid, please send me a description of the procedures used in your investigation within 15 business days of the completion of the investigation. What should I include with my letter? Be sure to include a copy of the credit report page evidencing the inquiry. It also doesn’t hurt to highlight the section, just so there’s no mistake. Otherwise, you run the risk of delaying the process and adding additional communications. Take the extra step ahead of time to save potential complications further down the road. Do you have other negative information affecting your credit? If you have other negative marks on your credit reports or don’t want to bother disputing inquiries on your own, you can retain a firm that can do the work much more efficiently and effectively for you. A professional credit repair firm performs these tasks hundreds of times a day. However, when investigating credit repair companies, be sure to look for a firm with many years of experience and many happy clients. Check out our Lexington Law Firm Review to find out more about the company that has over 28 years of experience and hundreds of thousands of happy clients or call 1 (800) 220-0084 for a free consultation to see how they can improve your credit score. Want to Remove Inquiries from Your Credit Report?